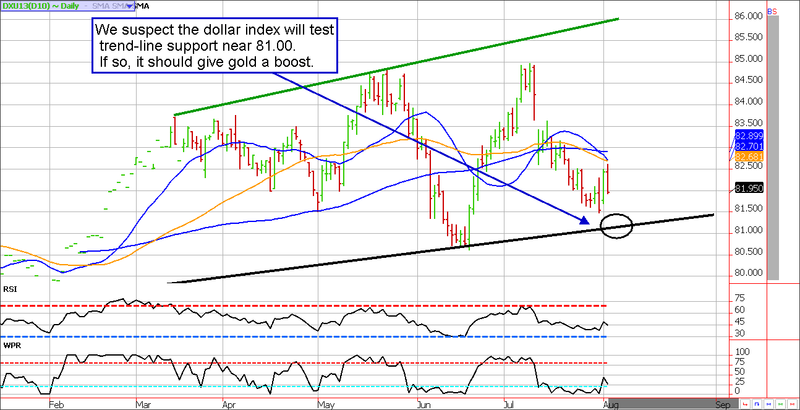 Gold has recovered significantly from the June lows; there is technical resistance looming but a break-out could be swift. Seasonals are bullish, will we get the technical break-out? Precious metals tend to be a consistent victim of band wagon trading. In recent years gold has gone from a boisterous bull market in which “everyone” (even the cab drivers and city tour bus operators) were scrambling to buy, to an environment in which speculators of all types and sizes were dumping their holdings with little regard to price. In such a feast or famine market, being nimble is a must; hopefully this chart work will help in navigating the metals arena. There is no doubt that gold is a volatile market; accordingly, it should be treated as a trade rather than an investment. We aren’t big fans of the doomsayer mentality that suggests we should all be holding hard assets in anticipation of a collapse of the fiat money system. Nonetheless, the market moves and can be an attractive place for risk thirsty speculators. Gold has made a miraculous recovery from the June lows (a time in which most were calling for sub $1,000 gold). We continue to feel as though the path of least resistance in gold will be higher simply because the asset is priced on perception, and we believe investors will begin focusing on inflation and safety. With that said, markets never go straight up or straight down so technical analysis can be handy. 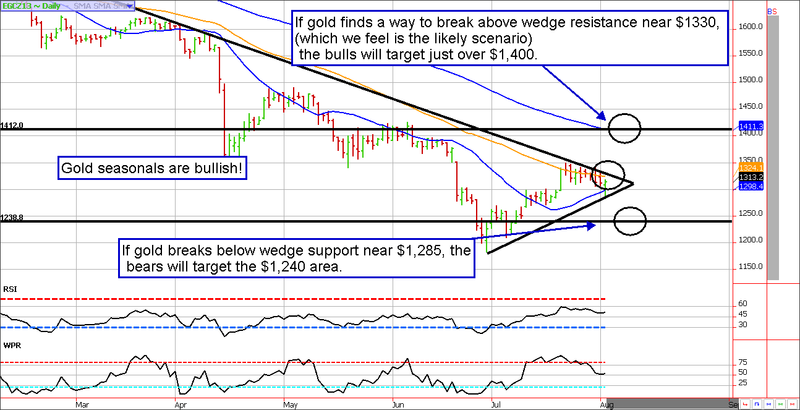 In our view, gold prices have formed a consolidation wedge in which a break-out is inevitable. Unfortunately, there is no way to know for certain the direction but we suspect it will be to the upside. Specifically, the December gold futures contract faces resistance near $1,330; in our opinion the odds favor a break-through of this price which would likely lead to follow through buying into the $1,400 area. Supporting our theory are bullish seasonals that run through October and what appears to be the beginning of another leg lower in the U.S. dollar (see chart). If we are wrong about the initial direction, a break below the $1,285 area might trigger liquidation into the $1,240 price but we have to feel like this would be an opportunity for the bulls. If you like what you see, click here to open an account with us to work with experienced brokers or use one of our state-of-the-art trading platforms. 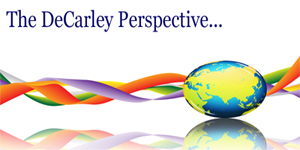 Clients receive the DeCarley Perspective free of charge!